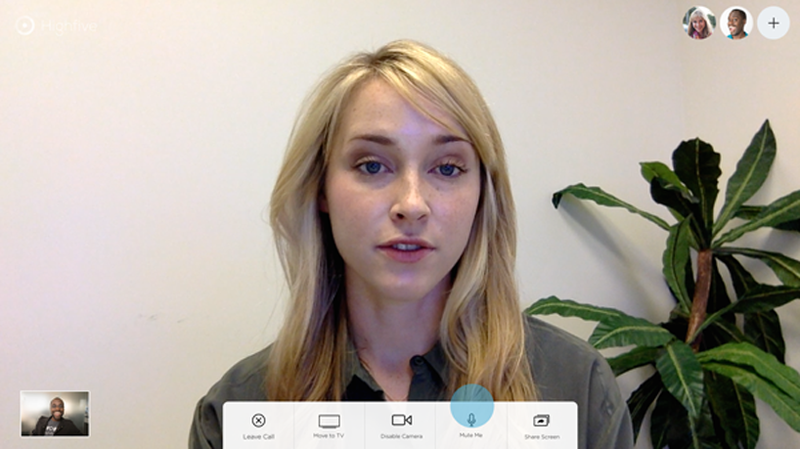 The Highfive mission is to make video conferencing simple and delightful. My projects as a product designer ranged from designing the app UI, login flow, and mobile app. One of the biggest challenges was designing the onboarding experience. I worked closely with the customer support team to conduct surveys and analyze Intercom analytics. We also visited customers frequently to conduct research, identify pain points and gather insights. We started the onboarding project by looking at the ideal customer journey. It begins with an employee (typically someone from I.T.) setting up the device, exploring the app, and experiencing a successful call or screen presentation. From there, usage should increase within their team and beyond. Customers include small and medium sized businesses to large companies like Warby Parker, Staples, Zenefits and Harry's. While observing people set up the device in their conference rooms, we realized that many users got stuck. The onboarding experience needed to be improved. After setting up the device, people dropped off the user journey because they didn't know what to do next. To solve this problem, I prototyped an interactive product walkthrough with pre-recorded videos. These videos pointed out features in the interface, like starting a call, adding people to a call, sharing your screen, etc. I tested this prototype with a group of users. It turns out this was the wrong direction. Customers did not like having to watch videos that stopped them from exploring the app themselves. The second concept encourages users to explore the app in a different way. After opening the app, users are prompted by a checklist of features. I sketched this concept and created some wireframes. I tested a prototype of the checklist tutorial concept and gathered feedback from members of the Highfive team. This solution got us a couple steps closer, but it became clear that this concept was not the right solution. I took a step back and asked this question: After a user sets up the device, how can we get them into a real call right away so they can experience the magic of Highfive right off the bat? Answer: A test call with a real person at Highfive HQ. I designed an easy setup experience that seamlessly guides customers into a test call with Highfive HQ. The desktop app and the TV interface prompt the user to complete a series of steps that lead to a call with a member of our Customer Success team. A set of playful illustrations and clear messaging make the process fun and engaging, reflecting Highfive's brand personality. After shipping the new onboarding flow, we measured the usage of new customers and saw significantly more engagement after setup. Highfive!